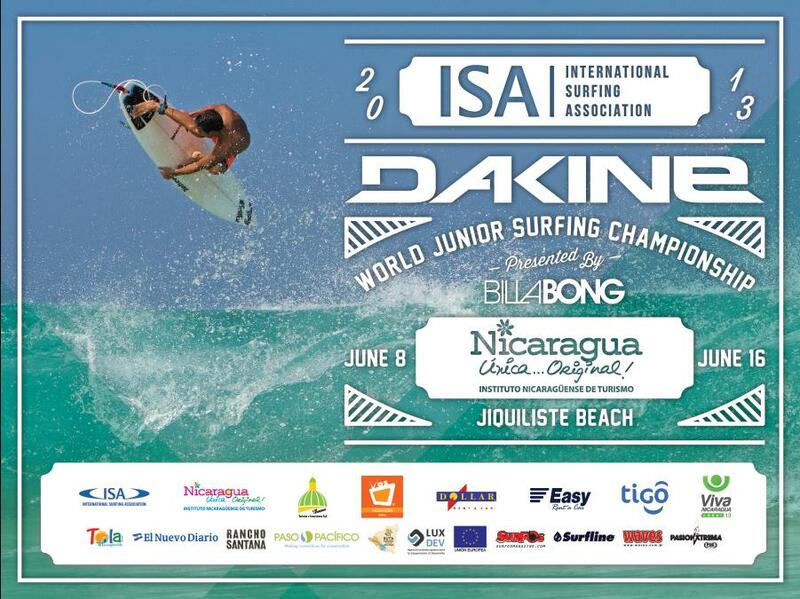 The International Surfing Association is excited to announce it will be returning to Nicaragua for the second year in a row for the 2013 DAKINE ISA World Junior Surfing Championship. Over 300 of the World’s Best Junior Surfers from 34 Countries will gather in Playa Jiquiliste to compete for Gold Medals and the ISA World Junior Team Champion Trophy. The 2013 DAKINE ISA World Junior Surfing Championship presented by Billabong will be held at the world-class beach break in Playa Jiquiliste, Nicaragua from June 8-16.